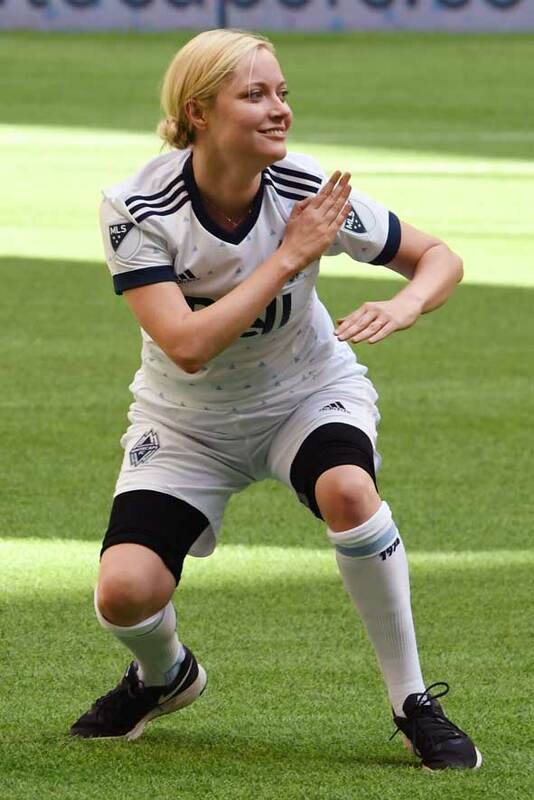 Georgina Haig, who is known for playing Frozen’s Queen Elsa in the hit Disney series Once Upon A Time, put on a Vancouver Whitecaps jersey and showed off her soccer skills! 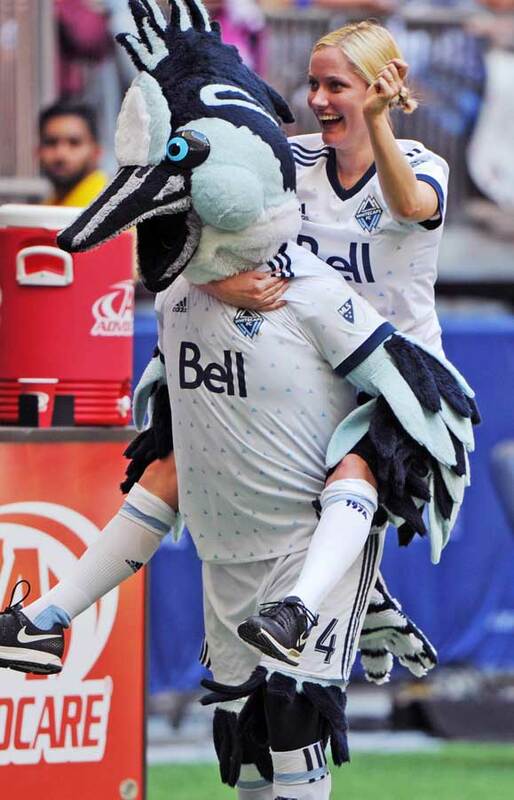 But the Australian actress didn’t just stop playing on the field, she decided to jump on the Vancouver Whitecaps official mascot called Spike! 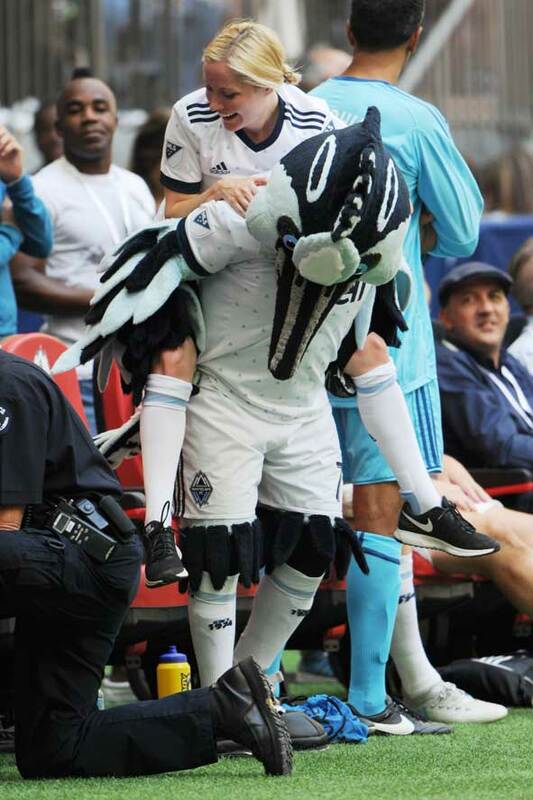 The mascot is a Belted Kingfisher and according to his official profile says his favorite song is Shake Your Tailfeather! 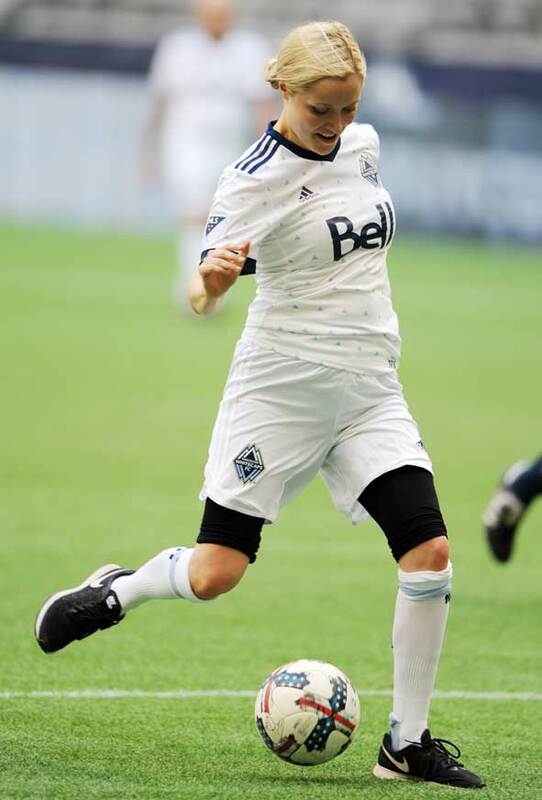 Wearing an Adidas Vancouver Whitecaps official jersey the 32-year-old actress also wore supportive shorts and tried to tackle one of the opposition players. 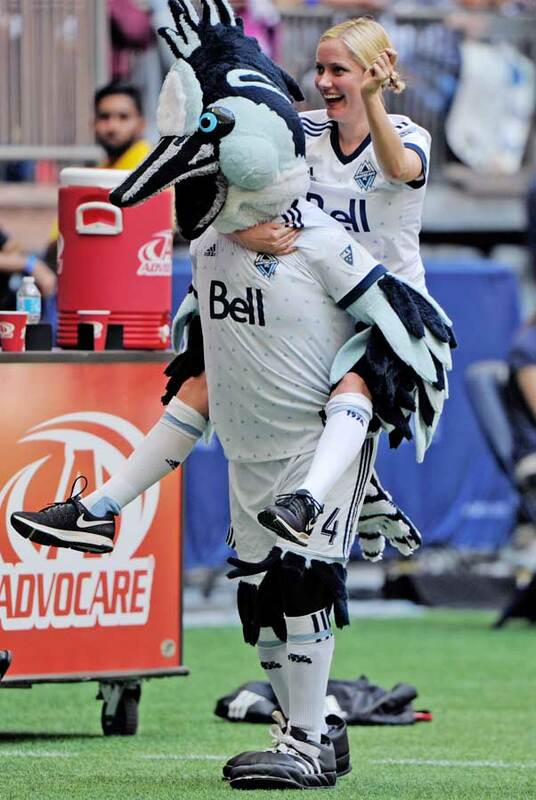 VIDEO: Riverdale’s Archie played by KJ Apa enjoys a day off in Vancouver! Georgina Haig rose to fame in Australia starring in the to films Wasted on the Young and Road Train. She then landed the role of Zamira in the second season of the children’s television series The Elephant Princess. PICS: Riverdale’s KJ Apa & Charles Melton Show Off Their Soccer Skills With Archie Scoring! 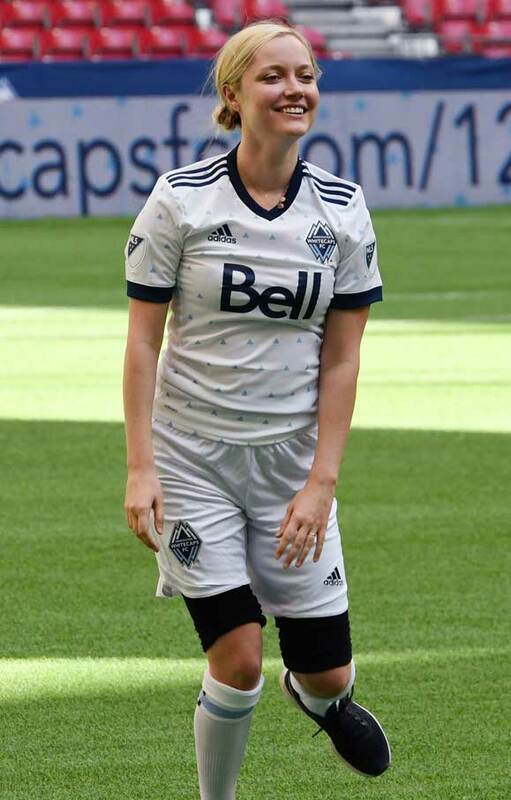 Georgina Haig currently stars as Piper Baird on the TV Series Limitless and is also know for Road Kill a supernatural thriller about a group of teenagers menaced by a driver-less train in the Australian outback. Georgina Haig Trivia: Georgina Haig’s dad, Russell Hagg, wrote BMX Bandits that gave Nicole Kidman her first movie appearance!